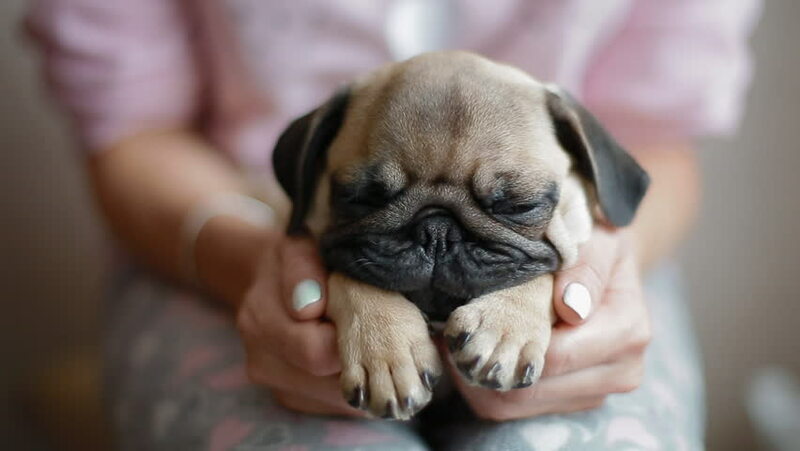 Cute puppy pug sleeping on the woman's knees. Adorable closeup scene. The owner play with the paws. hd00:16Woman pet the pug. Outdoor close-up shot. 4k00:11Girl's hand stroking the dog's head.